A big capacity beautiful Gaiwan with magnolia flower hand-painted. 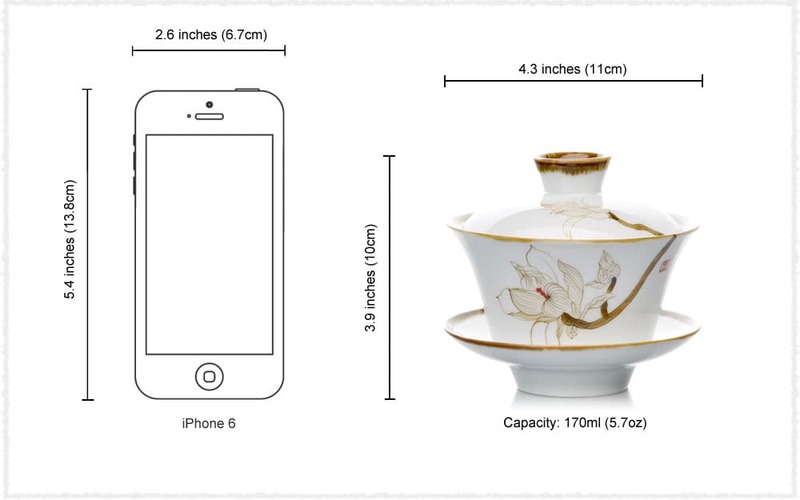 The gaiwan is also called the “sancai bowl”, which loosely translates into the synchronicity of man, earth and the sky as the cover of the gaiwan represents the sky, the bowl itself representing humankind, and the saucer below as earth. This traditional Gaiwan is Hand-painted magnolia flower which decorates it just to the proper extent. 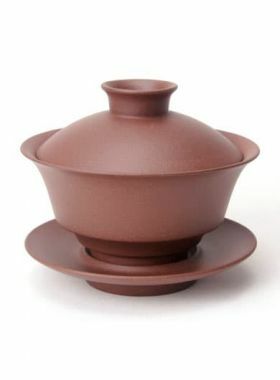 Unlike the monotonous of plain pure color of Gaiwan, the delicate and charming magnolia flower makes this Gaiwan vivid as natural as though it were living. 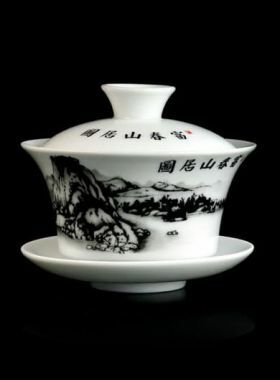 90 hours of fire refine, 76 pottery manufacture techniques, 1380℃ (2516℉) high-temperature calcinations – these arduous efforts makes this Gaiwan a great art as well as practical tool for brewing tea. The occurrence of 窑变 "furnace transmutation" is probably simply an accidental event in the ceramic manufacturing process, and also probably the result of some unpredictable and uncontrolled color changes happened on porcelain surface caused by temperature variations inside the kiln. No wonder people say one original glazing color can create many unpredictable beautiful colors, which manifest the secret of ancient oriental ceramic art. Located in Fujian province, Dehua County enjoys great reputation for ceramic and porcelain production. White porcelain made from Dehua has bright and pure white color with great light transmission. The ivory white (象牙白) and Chinese white (中国白) have been well known both in home and abroad since Ming and Qing dynasty. He Zongchao, Lin Chaojing and Zhang Shoushan, etc were the most famous ceramic artists in Ming dynasty.